As a holiday destination our home truly enjoys the best of both worlds at the beach! Some people love the ocean the best, and some prefer the harbour and its ever changing moods. No matter who you are or which one is your favourite you're in luck because our home sits smack dab in the middle of both of them. If you want to sit and watch White Island steam away, the sail boats race, take long walks, or simply enjoy one of the four decks in the sun, our well kitted family home offers a stress free seaside vacation with easy access to golfing, surfing, fishing, and every outdoor activity you can take up. OK, so there's no bungy, but there is easy access to boat ramps, the fishing pier, take- outs, and ice cream. Book your beach get away today! NOTE: Under Kiwi bach tradition you are expected to: Clean the house and do the dishes and laundry before you leave. All linen is provided. Only a short walk through the reserve and dunes to Ohope Beach. Available on the plat, on the driveway and on both sides of the street. WiFi code is found in welcome book. Freeview is connected, there is Sky hook up if you bring your own box. Beautiful home. Family loved every minute of our stay. Big spacious living areas, comfortable beds and wonderful cooking facilities. Only a 2 minute walk to where the wedding was held. Definitely would reccomend for families. Thank you so much for everything! We had an amazing holiday. The Best location! Such a large beautiful house exquisitely situated, equipped with everything you could possibly need. We stayed at "Best of both worlds at the beach" for 6 nights in January 2015 & enjoyed every moment of it. The house was immaculate & very well equipped - great lounge chairs, fabulous views, just loved the grassy knoll. 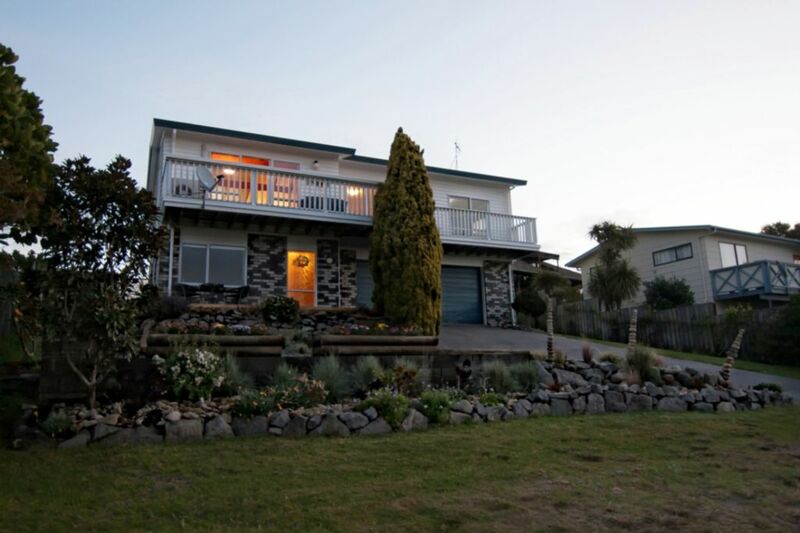 We were able to enjoy both solitude gazing out to sea & swimming, & also the action of day trips to White Island & sea kayaking, with Whakatane within easy reach. Plenty of space in the house & our son loved the man cave.